There will be lane closures on the Second Severn Crossing for two weekends to allow essential waterproofing and resurfacing work to take place. 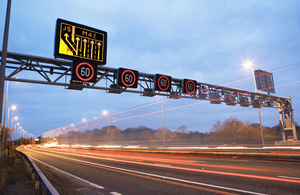 Two lanes will be closed on the westbound carriageway between 10pm on Friday, 6 June and 10am Sunday 8 June. On the eastbound carriageway two lanes will be closed between 10pm on Friday, 13 June and 10am on Sunday, 15 June. The work is being carried out over two weekends when traffic flows are lowest but road users are advised to plan ahead and allow longer for their journeys. One lane will remain open during the work so traffic can continue to cross in both directions, but if delays occur signing will direct road users to use the M48 Severn Crossing.